Roverhair shampoo home treatment 200 ml. Roverhair Keratin Hair Straightening Shampoo. These keratin shampoo make your hair smoother and less curly and frizzy. 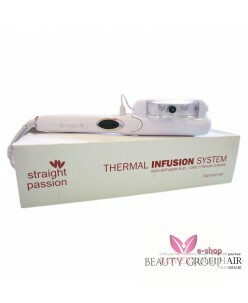 Extends professional keratin treatment. The desire to straighten your hair has never been so strong! Rover Hair Straightening Keratin Shampoo Passion home treatment makes this possible. This shampoo contains ker..
Roverhair phase leave in conditioner 200 ml. No-rinse spray conditioner, perfect for conditioning and treating hair after straightening with STRAIGHT PASSION. INSTRUCTIONS: apply to clean, wet hair, then dry thoroughly. Professional use. Available for sale in professional hair salons only. ..
Roverhair K-Thermal integrator 200 ml. 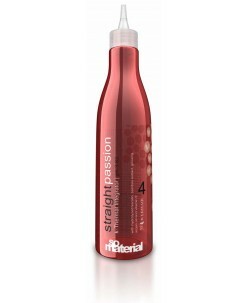 Leave-in rebuilding and glazing conditioner, extra nutrient, softening and ptective, for application to dry hair at the end of the straightening treatment with the aid of the STRAIGHT PASSION straightening irons. Contains Hydrolyzed Keratin, (rebuilding properties), Argan oil (antioxidant properties), softening and moisturizing,..
shampoo 200 ml. conditioner 200ml. ..